Marijuana in Maine: What’s Legal And What’s Not a downloadable handout from the Good To Know campaign with easy to understand information about Maine’s marijuana laws. 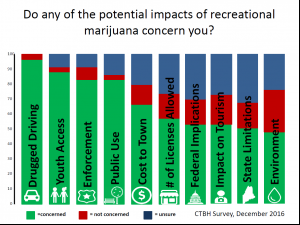 The Legalization of Marijuana: The Impact is the 2018 update of the annual report from the Rocky Mountain High Intensity Drug Trafficking Area in Colorado. Concerning Trends of Marijuana Commercialization in Colorado, a presentation by Bob Doyle of the Colorado Tobacco Education and Prevention Alliance.